As organizations nationwide focus more on company culture, you should be exploring how policies on topics ranging from family leave to flexible work schedules stack up next to the competition. But have you ever thought about how to best support a grieving employee? 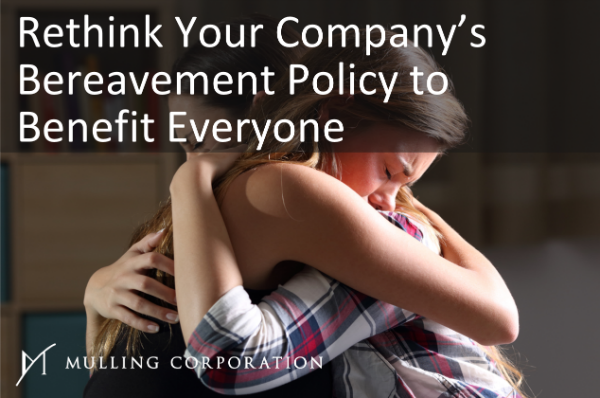 A well thought-out bereavement policy can be a valuable benefit for employees when they need it most. In the last few years, the number of employers offering paid bereavement leave has increased. However, most offer a standard 3 days, enough time to plan a funeral. After that, employees who need more time off are expected to take vacation days or unpaid leave. This may force some employees to return before they are ready, impacting both productivity and company morale. While everyone will go through each of these steps, every person grieves on their own time. For example, one person may be angry for three weeks, while another could remain angry for several months before moving onto the next step. This range can make it difficult to follow a hard and fast rule regarding time off. 2. Being flexible can benefit all: Just as the grieving process is unique to the individual, so is the impact of each event on your organization. A few factors can help you determine how to proceed if the affected person needs more time to get back on their feet. For example, the position and responsibility of the individual will guide your plan for their absence. Do you have competent staff members ready and able to take over their responsibilities, or will you need to consider a temporary contractor? It’s also wise to communicate with the individual affected directly throughout the process. Explain their options, such as short-term disability and professional counseling benefits if available, and be willing to adjust accordingly. 3. Employee wellness will take your organization further: Showing empathy and compassion goes beyond sending flowers or delivering a hot meal to a coworker’s home. A broader company policy can demonstrate to employees that you care about their overall well-being. They’ll appreciate having options as they grieve, leading to increased company loyalty. In fact, knowing they’re supported in this way may actually help them get back to work sooner, particularly if they feel they work for an organization that values their needs and respects the difficult time they are going through. Losing a loved one is never easy, and support is crucial for healing. Make your organization one that thinks beyond the standard bereavement policy and build a team of loyal employees you can depend on. 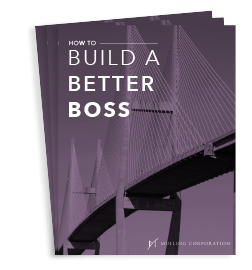 Here at Mulling Corporation, we want to help your organization succeed. To learn more, visit mulling.com.